I added some simplistic décor to the mantle and our bookshelf in the great room. 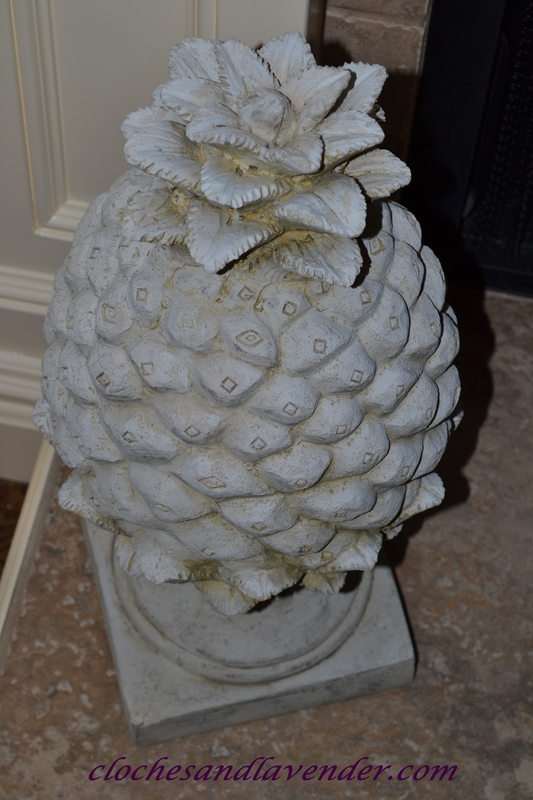 Using some pieces of mercury glass and a trophy from Antique Warehouse with a wooden tray and pine cones gave me a simplistic mantle for the rest of the winter months. The bookcase where I moved some items around and used pieces I had in the attic. I had to add some lavender. It is a must in this house no matter the weather or the season. Full bookcase with a peek at our Mora clock. 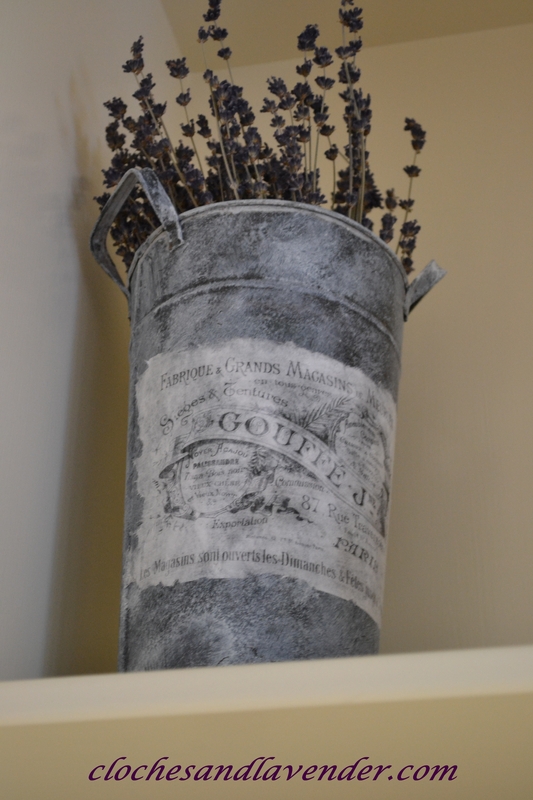 French flower bucket with a transfer I added with my love of lavender inside. 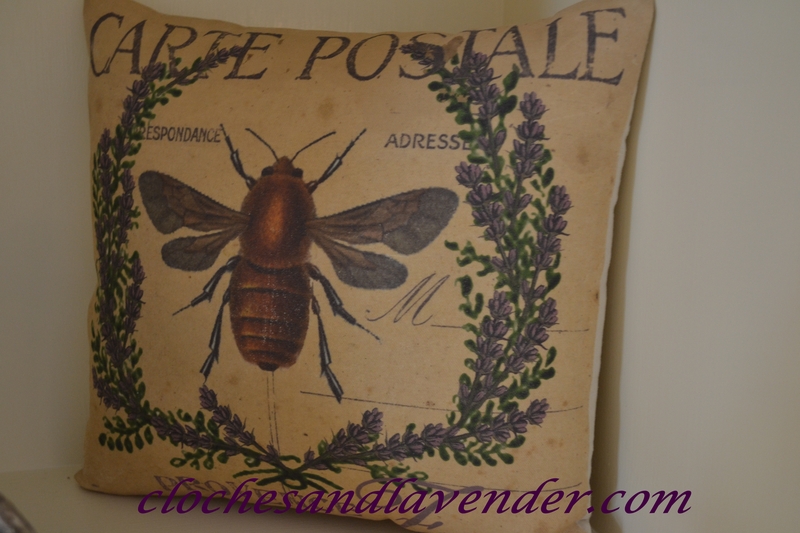 A pillow I received as a gift from Obee Designs. 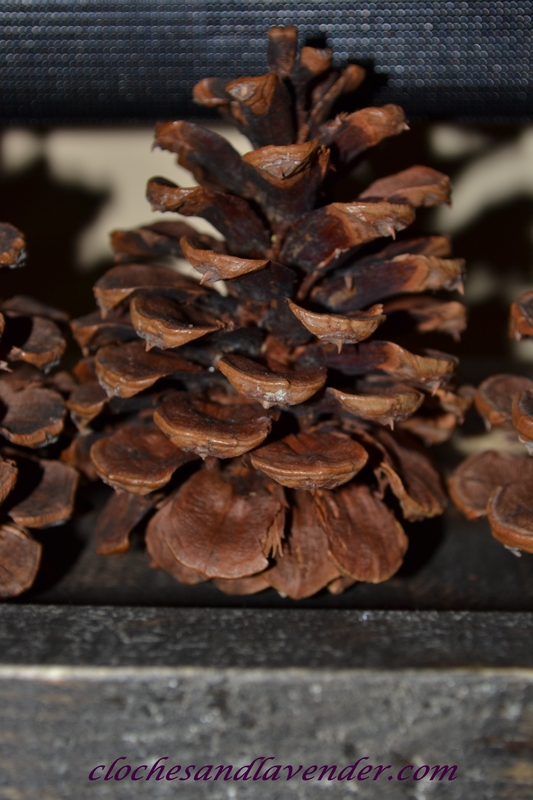 I hope you enjoyed this post and if it is cold where you are stay warm !! Very pretty Cynthia as always! We are on our way back (stuck in traffic). Gotta get out the long undies! Thanks and have a safe trip home! Everything looks so pretty! 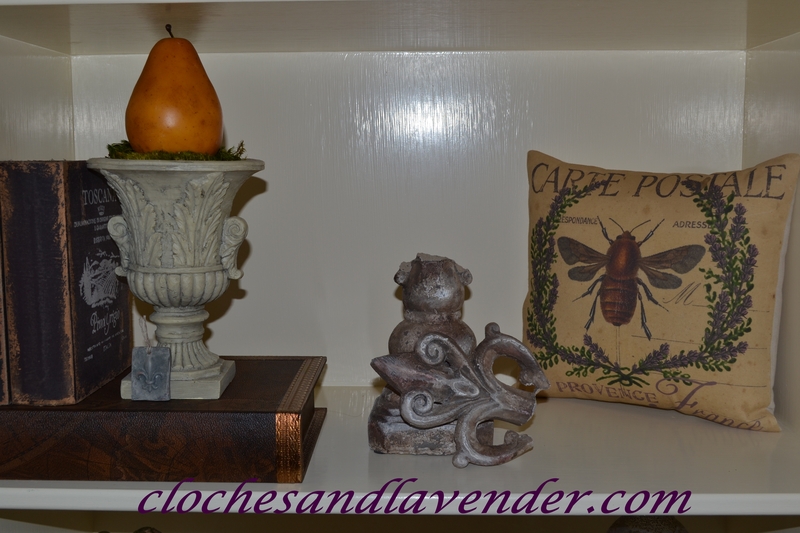 I’m looking forward to adding some lavender to a few vignettes soon. 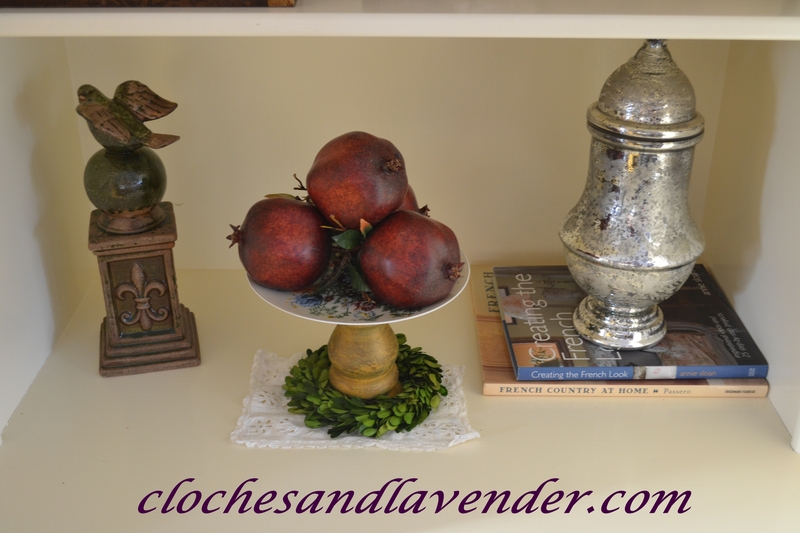 Your shelves and mantel are beautiful! So pretty!!!!! 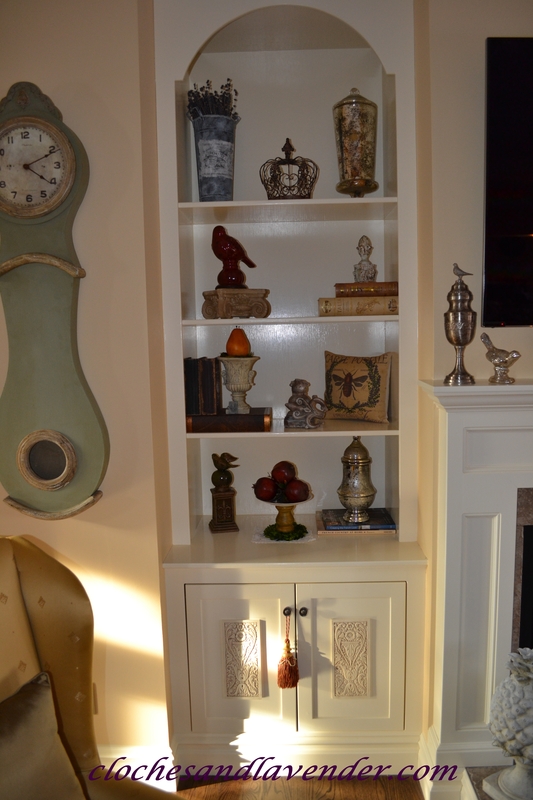 Love your beautiful Mora clock….and the bookshelves are styled to perfection! Have a great week!! You have such pretty collections, Cindy. I’m very envious of your beautiful mercury glass! I love your built in bookcase, Cindy! I have always wanted built-ins like that. Thanks Kathy. Our builders carpenter designed that with my hubby from a scribble he drew on paper. Love the built in book case Cindy and your Mora clock so gorgeous. Isn’t it fun to change things up and feel like it’s all new? 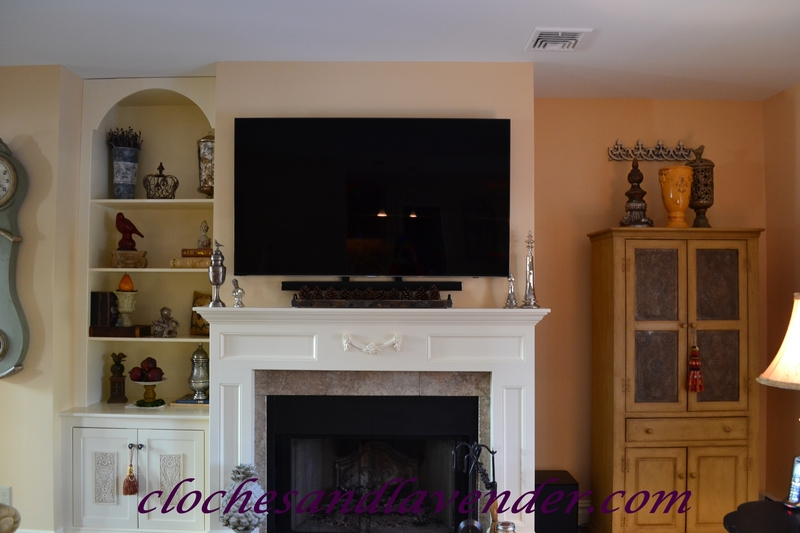 Hi Cindy, Your mantel and shelves look gorgeous. I love your special treasures. I’m looking forward to a big change up in March when doing some spring cleaning. We are covered in Ice right now and so cold for us in Dallas. It must be hard when you aren’t used to it. It has been so cold here and the snow is like ice. Have a great day. 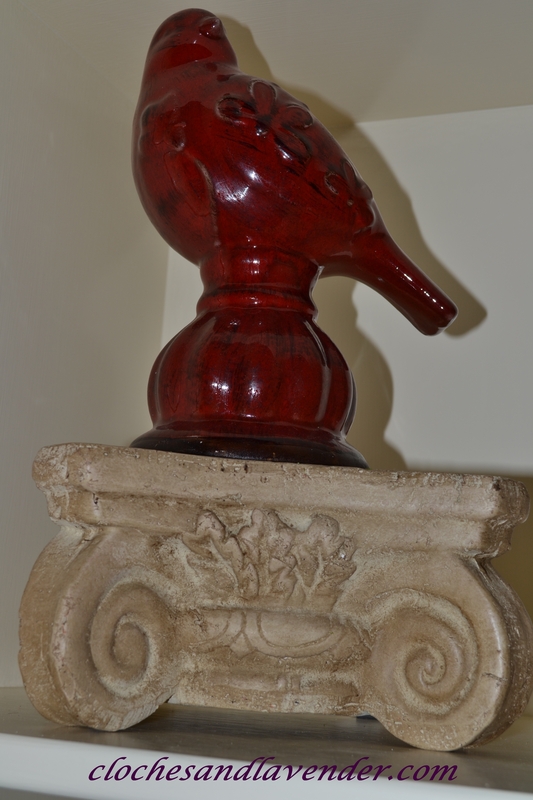 Your simplistic mantle looks so pretty! What a wonderful collection of beautiful treasures. 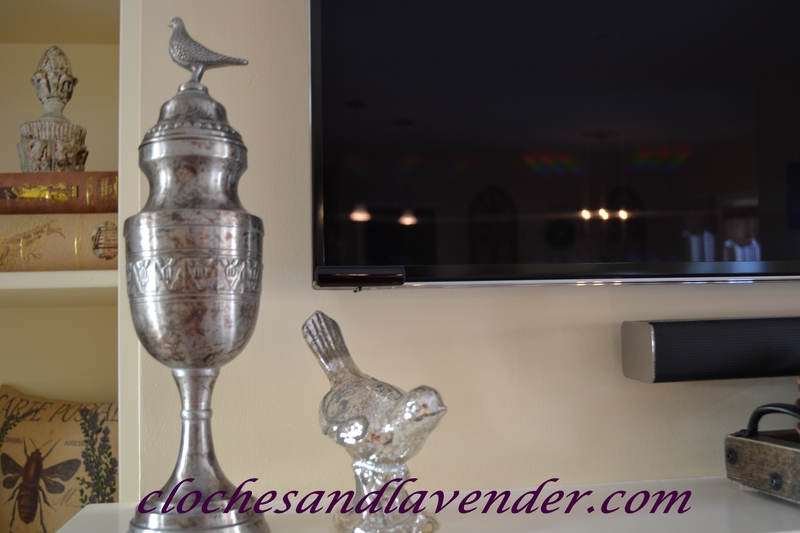 I love the French flower bucket with lavender!! Always love how you decorate! Thanks Jody I had fun making that, love doing transfer.